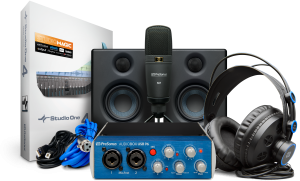 Start recording in high definition today with the ultimate all-PreSonus® package, an amazing value that provides everything you need to do professional-quality production. Just add a computer! 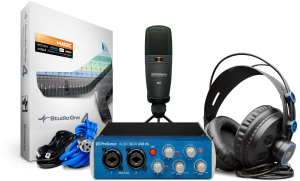 A complete, all-PreSonus, hardware/software, high-definition recording kit — just add a computer!